Rolex has been the world's quintessential luxury watchmaker for over 100 years. The timepieces from this independent Swiss manufacturer are visually in a class of their own and synonymous with top performance, prestige, and precision. Rolex watches are icons of luxury like a Porsche, Chanel dress, or Louis Vuitton bag. The secret to this manufacturer's success lies in their consistency: The design of the Rolex Oyster series has barely changed over the decades. Improvements to minute details are often only noticeable upon second glance. This strategy has allowed the watches to become classics, making them easily recognizable and raising their collector's value. These watches retain their value in large part due to this timeless and consistent design. The situation is similar for other well-known Rolex models such as the Daytona, Day-Date, Datejust, and Submariner. Rumor has it that the Geneva-based manufacturer sells approximately one million watches each year, meaning they turn over almost two and a half billion USD. 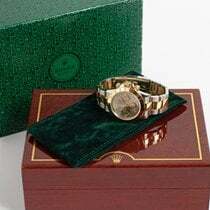 They also introduce more gold into circulation than any other watch manufacturer. Rolex's reputation is also supported by the fact that they've remained independent and their watches are almost fully crafted in-house. Many other well-known watch manufacturers belong to large concerns. Another secret to their success is their discreet company policy: Tours of their factory workshop are rare, the CEOs seldom give interviews, and their annual profits are kept private. If you view luxury watches as an investment, Rolex is the right brand for you. The Genevan manufacturer sits as the pinnacle of the Swiss luxury watch industry and embodies power and prestige like no other manufacturer. A Rolex is a safe bet. Well-kept models only increase in value over time. Rare, vintage models go for five, six, or even seven figures at auction. In 2017, Paul Newman's own Daytona sold for a record price of 17.75 million USD, or about 15.3 million EUR, at an auction in New York. Even though it was not in the best condition, it is still one of the most important collector's watches from the last century. How much does a Rolex cost? How much does a Rolex Submariner cost? The Rolex Submariner ref. 114060 is one of the most famous watches in the world. The three-hand model without a date display costs around 7,900 USD in mint condition. Pre-owned pieces cost about 500 USD less. A never-worn Submariner Date with a date display and the reference number 116610LN comes in at around 9,300 USD. Pre-owned models cost about 8,600 USD. The "Red Sub" with the reference number 1680 is a highly-coveted vintage Submariner and demands prices of about 18,500 USD pre-owned. The COMEX Version, developed by Rolex for the French company Compagnie martitime d'expertises, is also sought-after. Prices for this model often reach sums of 37,000 USD. Watch collectors aren't just enamored with vintage Rolexes, but also with the green Submariner models known as "Hulk" and "Kermit". The Hulk ref. 116610LV has a green bezel and green dial. It costs about 11,100 USD in mint condition and about 10,200 USD pre-owned. Only the bezel is green on the Kermit with the reference number 16610LV . The dial is black, which is in line with the standard Submariner dials. Set aside around 16,000 USD for a never-worn Kermit model. Pre-owned watches are markedly more affordable at about 11,000 USD, though this is still more expensive than the stainless steel Submariner Date with a black bezel. Is the Rolex Daytona a good investment? The stainless steel Rolex Cosmograph Daytona is one of the best investments you could make in the watch sector. Released in 2016, the model with the reference number 116500LN is so popular among watch fans that long wait times are par for the course when purchasing from offline retailers. Purchasing online is faster, though it is also more expensive. The official list price is 14,000 USD, whereas a never-worn stainless steel Daytona on Chrono24 demands around 20,500 USD. Pre-owned models are only slightly less expensive, making them a solid investment. The ref. 116500LN has a black Cerachrom ceramic bezel. Thanks to its use of the in-house caliber 4130, it also boasts a 72-hour power reserve. Its predecessor ( ref. 116520) has a stainless steel bezel and is powered by the same in-house 4130 movement. Before the introduction of the new Daytona in 2016, it officially cost 13,500 USD. Only a few years after its production ended, this sports watch with a stopwatch function was already selling for 15,400 USD pre-owned. If you are looking for a never-worn model, plan to spend over 19,100 USD. The model released in 1988 is also highly sought-after. It is powered by the caliber 4030, based on the Zenith El Primero. The price for a pre-owned Rolex Cosmograph Daytona with the reference number 16520 comes in at almost 23,400 USD. The so-called "Paul Newman" Daytona is especially rare. The only difference to other Daytonas from the 1960s and 1970s is the dial. In terms of technology, watches from this time period are all identical. You will need to have at least 123,400 USD on hand for a Paul Newman Daytona. If you're not particularly interested in the famous dial, you can get a Daytona from the 1960s starting at 55,500 USD. Models with 18-karat yellow, white, or rose gold — also called Everose gold by Rolex — (ref. 116508) are generally more expensive than the stainless steel models due to their material value. That being said, they are significantly more affordable online than their list price. The official list price is around 42,500 USD, but you can get a mint-condition gold Rolex Daytona on Chrono24 for as little as 30,200 USD. The bicolor models in stainless steel and gold are a bit of an insider's tip. You can find pre-owned watches with the reference number 116503 starting at 14,700 USD, while those in mint condition cost around 15,800 USD. Older versions from the 1990s can even be purchased for under 11,200 USD. What are the prices for a Rolex Sea-Dweller? Anyone who bought a Rolex Sea-Dweller in the last few years can look forward to appreciating prices. This is due to the fact that certain reference numbers are no longer in production, thus making them harder to find. The ref. 16600 was manufactured for a relatively long period of time, from 1988 to 2008. It was then replaced by the much larger 44-mm Sea-Dweller Deepsea. Over the last 10 years, prices for a ref. 16600 have consistently increased. A pre-owned model that demanded 4,900 USD in 2008 now goes for around 7,800 USD. New watches are even rarer and therefore cost about 11,500 USD. The Deepsea with the reference number 116660 is water resistant to 3,900 m (390 bar, 12,795 ft) and has a list price of 13,600 USD. However, the same watch only costs around 12,700 USD online. Even though this is less than the official list price, its value has still skyrocketed in the last five years. In 2014, Rolex released yet another 40-mm model with the ref. 116600. It was only in production for three years before it was replaced by the 43-mm 50th anniversary model with the ref. 126600 in 2017. This resulted in an abrupt spike in prices for the former model. Never-worn models that had cost 10,500 USD prior to Baselworld 2017, quickly rose in price to around 13,200 USD in October 2017. The most recent Sea-Dweller now features the Cyclops lens over the date display, a characteristic of the Submariner, and costs almost 14,700 USD in mint condition. If you'd rather buy your watch online to avoid the long wait times in offline retailers, be prepared to spend a good 1,800 USD more. A Rolex is more than just a piece of jewelry on your wrist. These watches represent a long tradition of technical developments. The history of this unique watch manufacturer reads more like an encyclopedia of horology. The original Oyster model was introduced in 1926 and was the world's first water-resistant and dustproof wristwatch. It remains the ultimate classic to this day. The watch is water resistant thanks to a hermetically sealed case, screw-down crown, and synthetic watch glass that fits firmly in the case. To prove its water resistance, the manufacturer decided to display the Oyster ticking away in a fishbowl filled with goldfish. In 1927, another marketing opportunity presented itself: British swimmer Mercedes Gleitze swam for more than 10 hours through the English Channel with an Oyster. Although she failed to complete her swim, the watch survived. On January 23rd, 1960, the deep-diving bathyscaphe Trieste reached the bottom of the Challenger Deep with a special passenger on board: Rolex's Deep Sea Special . The watch had been specially designed for the dive and was attached to the outside of the bathyscaphe. It handled the extreme conditions of the ocean floor impressively well, functioning perfectly even at a depth of 10,916 meters (35,814 ft) . This proved the Swiss watch manufacturer's capabilities. Rolex repeated this test in 2012, attaching the experimental Rolex Deepsea Challenge diving watch to the robotic arm of the Deepsea Challenger. It reached a depth of 10,908 meters (35,787 ft). This watch is water resistant up to 12,000 meters (39,370 ft) and can withstand up to 1,500 bar of pressure. Rolex's watch designers had already expressed their passion for the sea in 1953. That year, the company presented one of the first diving watches, the highly sought-after Submariner. The original watch, nicknamed "the diver's friend," was water resistant to 100 meters (328 ft) thanks to its Twinlock crown. It featured a black matte dial and a bi-directional rotating bezel. The bezel allowed divers to time their dives to the minute. At the time, Rolex was a pioneer in the field of diving watches, as recreational diving wasn't yet widespread. Former Rolex director René-Paul Jeanneret was an avid recreational diver and gave valuable input regarding the design of the hands, dial, and case. The watch survived various tests and a total of 132 dives. Supposedly, the watch was even dropped from a height of two meters onto a concrete dock. The watch still functioned; the drop only caused a piece of the luminous material to fall off one of the hands. The successor to the first Submariner was water resistant to 200 meters (656 ft) and was made the official watch of the English, Canadian, and Australian marines. Another milestone in Rolex's history occurred in the same year that the Submariner was introduced. Mountain climbers Sir Edmund Hillary and Tenzing Norgay struggled over rubble and ice to reach the top of Mt. Everest at a height of 8,848 meters (29,029 ft). According to reports, both climbers wore the Oyster Perpetual. Whether they had them on at the top or not is disputed. However, Rolex was one of the official sponsors of this Everest expedition led by Colonel Sir John Hunt. The manufacturer presented the Oyster Perpetual Explorer in 1953 in celebration of the undertaking and to honor the summiteers. The Rolex Daytona quickly established itself as one of the manufacturer's most sought-after and successful automatic watches. However, the sports chronograph was a slow seller at the beginning of its career in the early 1960s. Actor and car racer Paul Newman and Formula One racing driver Jackie Stewart both helped transform the watch into an icon in no time at all. Versions with a contrasting second subdial received the nickname "Paul Newman" in the 1980s and are considered particularly valuable collector's items. The watch's name comes from the legendary Daytona Beach circuit in Florida. The city is the capital of record-breaking speeds: Between 1904 and 1935, 14 speed records were recorded there. Five of them were made by Sir Malcolm Campbell, who wore a Rolex on his wrist. The history of this watch manufacturer began back in 1905. Hans Wilsdorf, a German, founded the watch wholesaler Wilsdorf & Davis in London together with Alfred Davis. Davis oversaw the production of watch cases, while Wilsdorf obtained the necessary movements from the Biel-based company Aegler. In 1908, they trademarked the name Rolex. The catchy name most likely comes from "rolling export," but there is no solid proof of this. Gradually, the company began to add their name to the dials — an unusual practice at the time. Instead, it was customary to only include the retailer's name on the dial, if anything at all. The short brand name allowed enough space for the name of the retailer, enabling Wilsdorf to bring more watches bearing their own company name into circulation. 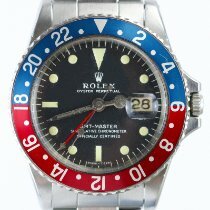 It would be 19 years before Rolex was the sole writing found on the dials, cases, and movements. The five-point crown became a symbol of the brand in 1925. The story behind the development of the logo remains a secret. Experts suspect that the five-pointed crown stands for the five fingers of a watchmaker or the letters in Rolex. The crown logo and the name Rolex have appeared on every dial, crown, and clasp since 1939. Revolutionaries Che Guevara and Fidel Castro also recognized and appreciated the qualities of Rolex. It's not known whether the robustness of the watch helped the Cuban Revolution of 1959, but Che and Fidel certainly contributed to the brand's myth. No other watch manufacturer has managed to appeal to such a wide variety of customers as Rolex. These range from the Dalai Lama to television host and comedian Ellen DeGeneres. Rolex calibers made in-house are considered to be especially precise. Each watch comes with a certificate from the Official Swiss Chronometer Testing Institute (COSC). The COSC measures the precision of a movement in five different positions and three different temperatures based on a standardized testing method. The entire testing process lasts 15 days. In addition to the COSC tests, Rolex tests all of their watches in-house once the movement is in its case. A watch can only pass their test if it has a maximum deviation of +/- 2 seconds per day . Rolex founder Wilsdorf also valued precision back at the beginning of the 20th century. In 1910, he sent a watch to a local watchmaking school in Biel so it could be evaluated. The movement was subjected to a 14-day test, which it passed. At the end of this two-week procedure, the testers issued the world's first wristwatch chronometer certificate and sent it to London. The next sensation followed only four years later: Wilsdorf sent an Aegler movement to the National Physical Laboratory in London. The caliber passed their tests with flying colors. It was subjected to three different temperature conditions and five different positions: crown facing up, left, and right, and dial face down and face up. After 45 days, the watch, with its golden case and blue enamel bezel, was named the first wristwatch in history to receive a class A certification. This type of certification was previously only awarded to larger watches, such as navy chronometers. By the beginning of the 1950s, Rolex had proven that robust movements and watch cases were part of their repertoire. An impressive example of this is the Milgauss from 1956. Like its name suggests, it can withstand magnetic fields up to 1,000 gauss. Its name is a combination of the abbreviation for the French word for a thousand, "mille," and the last name of the German physicist Carl Friedrich Gauss. The European Center for Nuclear Research (CERN) officially confirmed this resistance on August 10th, 1970. Thanks to the automatic caliber 1065 M, with its soft iron inner case and other anti-magnetic components, the watch functioned well despite the presence of magnetic fields. The watch was a blessing for engineers, power plant operators, and many others who worked in close contact with magnetic fields. This highly coveted collector's watch features green shimmering sapphire glass, a red triangle on the bezel, and a distinctive lightning bolt-shaped second hand. Whoever buys a Rolex is simultaneously doing a good deed. Wilsdorf never had any children of his own, and after his wife's death, he left all of his Rolex shares to the newly established Hans Wilsdorf Foundation. The foundation belongs to Rolex and receives a large part of their annual profits. This money is used to support social initiatives, environmental protection programs, and scientific, artistic, and cultural projects. Whether new or vintage, whenever you buy a Rolex, you're buying more than just a watch. 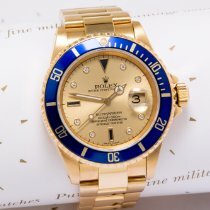 Rolex has been the undisputed number one in the world of luxury watches for decades and is among the most well-known brands. Rolex stands for top quality Swiss watchmaking, harmonious designs, and stable value – qualities that are highly valued in the watchmaking scene. Rolex has something for everyone's taste. Platinum, 18-karat solid gold, and an aesthetic design represent the prestige embodied by Rolex. The stainless steel models are perfect for those searching for robustness, simple functionality, and a companion for years to come.